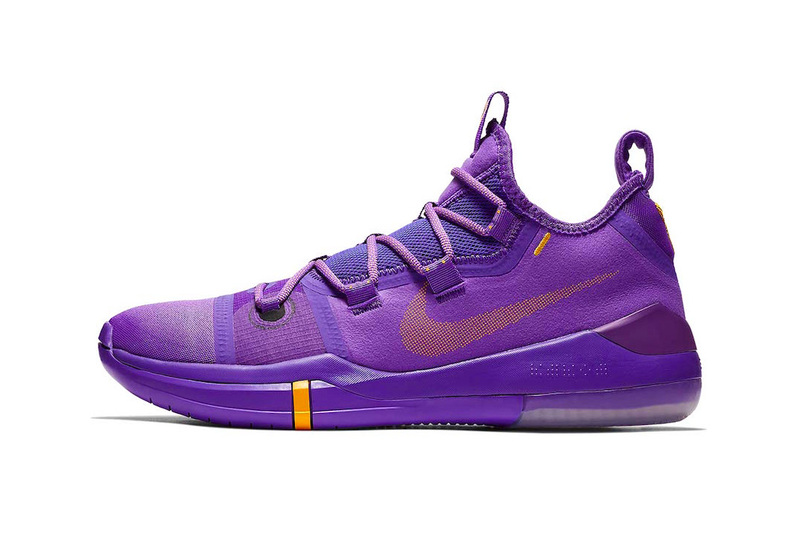 Nike is once again showing its love to Kobe Bryant and the L.A. Lakers through the release of two new Kobe A.D. colorways. Inspired by the iconic yellow and purple colors of the Los Angeles basketball team, one pair boasts a “Hyper Grape/University Gold-Black” colorway, while the other pair is dressed in an “Amarillo/Court Purple-Black” color scheme. Both utilize a split two-tone color block theme that separates both lateral and medial sides. Both colorways from the special pack are currently available for $140 USD each on Eastbay and will be coming soon to Nike’s web store. NikeKobe BryantNike BasketballLos Angeles LakersNike Kobe A.D.